Indians are not only addicted to spicy & sizzling hot India originated foods but also fond of many foreign imported foods from China to Italy. You will find plenty of foreign foods & snacks in Indian streets. Today, I want to share top 5 foreign foods found in Indian streets (based on Delhi & northern India). 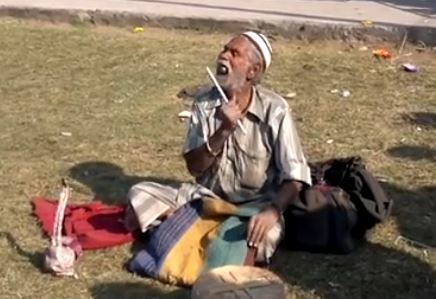 We Indians can’t live without them. Chow mein is the most loved and famous foreign food loved in India. If you are foodie then, you must knowing its China originated food very popular among Asian countries like Taiwan, Thailand, Japan etc and also very much prepared and eaten in India. But the way we cook is little different. We make it very oily, peppery and spicy bringing full Indian flavor. From street to luxurious restaurant, Chow mein is served very well in India. 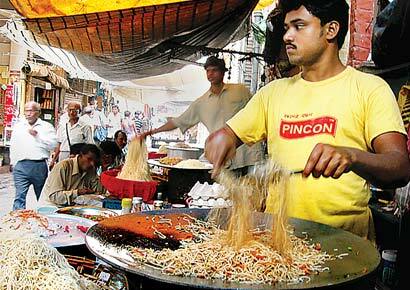 This is how Chow Mein is sold in India in streets. People love to stand and eat hot peppery & spicy chow mein. 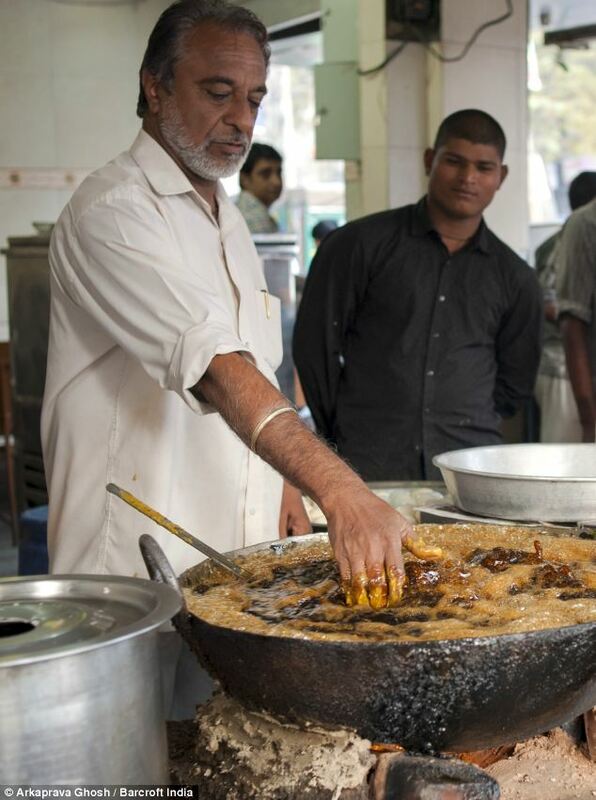 After Chow Mein , Burger takes over the hands of Indian cooks. In every street corners, the guy who sells Indian snacks like Paanipur(golgappa), Aaloo Tikki , also serve Burger. From kids to adults, men to woman everybody love Burgers in India. 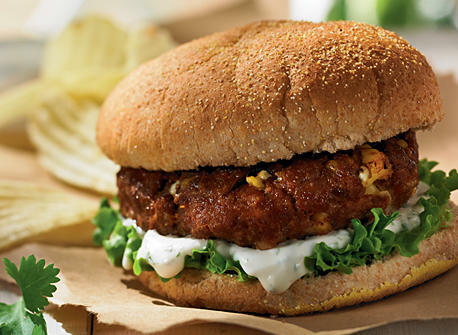 You will also find foreign burger brands like McDonald , KFC, Burger King in every Indian cities. So, don’t worry , if you are visiting India and addicted to burger. You will get them here as well. I would like to give 3rd position to Pizza , originated from Italy. Pizaa is very much loved in India, and it has been now fashion to take your girlfriend to a pizza house. Generally, it’s very warm outside in India, so pizza centers are well air conditioned, so it’s perfect place for dating many young school & college students. We like pizza because we are tired of eating Roti(Chapati / Flat bread ) & Daal (lentil) in every lunch and dinner, through the year, though we change the curry. The famous Pizza brands in India are Domino ( more affordable) & Pizaa hut. 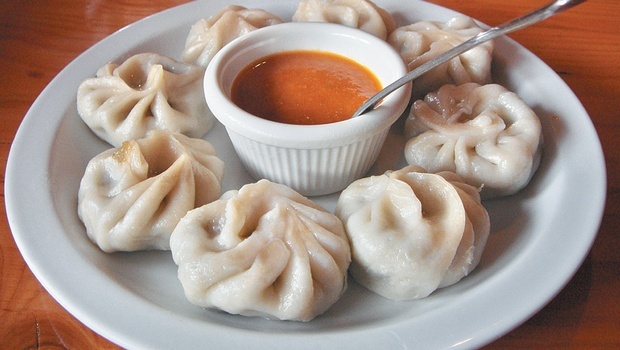 4th place I would like to give to Momos dumpling . 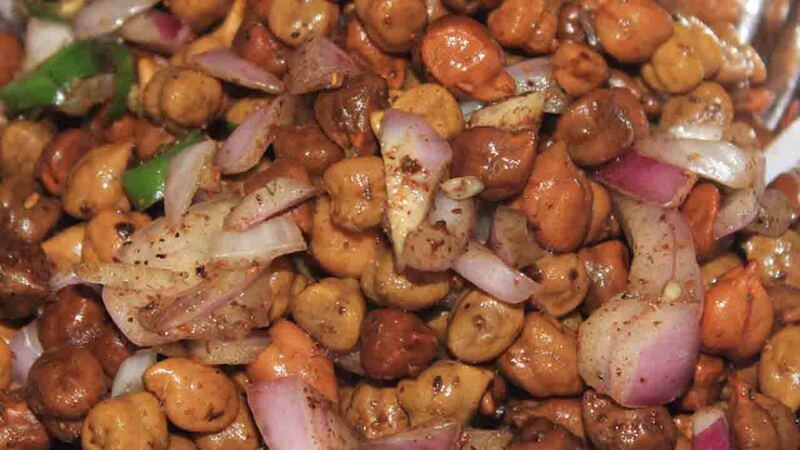 This Nepali food in recent years has brought new mouth licking sensation among Indians tongue. I am sure you are aware of this wonderful food. There are many ways to prepare and eat with. 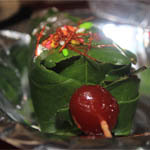 Ball like structured made with all purpose flour cover filled with spicy vegetable or meat is steamed and cooked. We generally eat with mo mo soup, hot chilli mouth burning sauce. Once I had been to a liquor shop, I saw near by a guy selling momo dumpling. He was so busy in serving. Later I asked why there is no one and only you selling Mo mo here. He replied – “People eat my Mo mo & its peppery sauce with alcohol and beverages.” So, probably this is one more reason why its famous here , because, we love to drink so much. Again , noodles are not only famous in Asian countries like China, Taiwan, Thailand, Japam, Korea etc but also very famous in south Asian countries like India & Nepal. Nepal has got even more world class varieties to noodles like Wai Wai , Mayos, Rumpum, Soltee etc. But indeed, it has a really good brand of noodle called Maggie and is loved by Indians from kids to oldies. Its very instant to eat , so for lazy person like me , it’s a gift food. Not only non vegetarian but also vegetarian noodles are found here as India has a big population of non – vegetarians. OMG, Chef Putting His Hands into Boiling Oil while Frying Fish to Make Delicious ? Yamiii 😛 It looks so tasty. Thanks for sharing with us a different life.